Born 1972 in Hagen (Germany), Aufermann studied chemistry, audio engineering and sonic arts (MA Middlesex University). 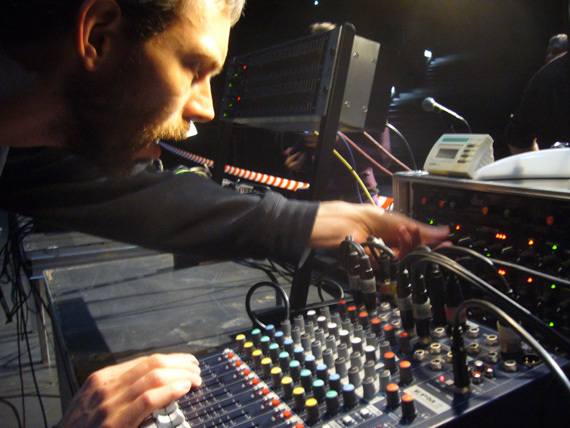 From 2002-2005 he was the station manager of Resonance104.4fm in London, now he is active across Europe as a musician, radio artist, organizer, curator, consultant and workshop leader. Knut Aufermann plays improvised electronic music using various forms of audible feedback. Together with Sarah Washington he runs the project Mobile Radio, investigating alternative means of radio production. Their works have been broadcast in 12 countries on 28 different radio stations. He is a founder member of the international Radia network of independent cultural radio stations.